Old, pretty cottage to rent on a small island. So reads an ad on Lottie Wilkes and Rose Arbuthnot's children's preschool bulletin board. When the mothers arrive on the island, they are transformed by the salt air; the breathtaking views; the long, lazy days; and the happy routine of lobster, corn, and cocktails on the wraparound porch. By the time of the late-August blue moon, real life and its complications have finally fallen far, far away. For on this idyllic island they gradually begin to open up: to one another and to the possibilities of lives quite different from the ones they ve been leading. Change can t be that hard, can it? With a cast of endearingly imperfect characters including indie movie star Caroline Dester and an elderly Beverly Fisher, who is recovering from heartbreaking loss and set against the beauty of a gorgeous New England summer, Enchanted August is a sparkling summer debut that brilliantly updates the beloved classic The Enchanted April in a novel of love and reawakening that is simply irresistible. 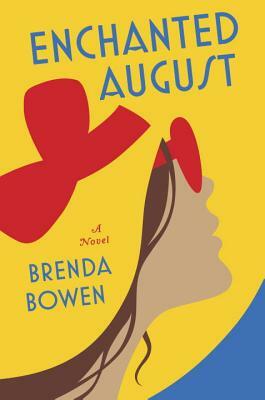 Brenda Bowen is a literary agent. She lives in New York, and spends as much of her summer as she can on an island much like Little Lost Island in Maine.Enchanted Augustis her adult debut."